Product prices and availability are accurate as of 2019-04-23 15:19:10 EDT and are subject to change. Any price and availability information displayed on http://www.amazon.com/ at the time of purchase will apply to the purchase of this product. Business professionals who have invested money in high-quality Brother products expect the same from replacement supplies. 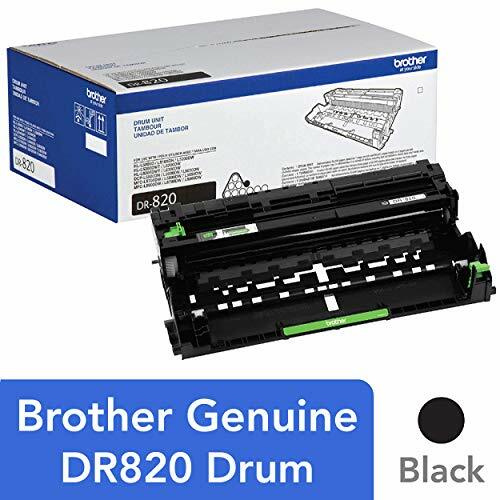 The Brother Genuine DR-820 Mono Laser Drum Unit is a replacement drum for use with 16 different Brother printers and all-in-ones, intelligently engineered as part of a complete printing system. These genuine replacement Drum Units are produced with precision to deliver sharp, text and graphics with every page printed. 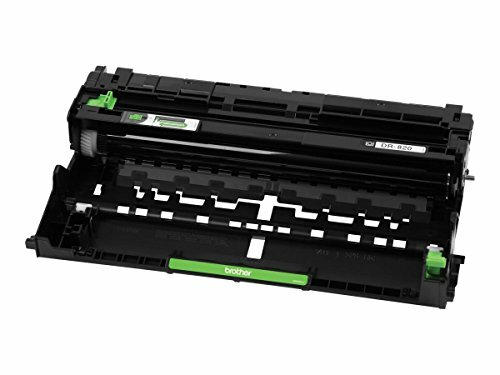 The DR-820 drum unit yields approximately 30,000 pages(1) when used with Brother Genuine toner cartridges (sold separately). Brother is dedicated to keeping the environment safe and produces our replacement products in ISO-certified factories. We offer several environmentally-responsible ways for our customers to dispose of their Brother branded products once they have served their purpose. Brother Genuine replacement supplies are backed by Brother’s ‘At Your Side’ Warranty and customers enjoy lifetime tech support for the life of their printers. The Brother DR820 Drum Unit is for use with DCPL5500DN, DCPL5600DN, DCPL5650DN, HLL5000D, HLL5100DN, HLL5200DW, HLL5200DWT, HLL6200DW, HLL6200DWT, HLL6300DW, MFCL5700DW, MFCL5800DW, MFCL5850DW, MFCL5900DW, MFCL6700DW, MFCL6800DW. (1)Approximately 30,000 pages based on 1 page per job and 50,000 pages based on 3 pages per job [letter/A4 simplex pages]. The number of pages may be affected due to a variety of factors including but not limited to media type and media size. For use with: HLL5000D, HLL5100DN, HLL5200DW, HLL5200DWT, HLL6200DW, HLL6200DWT, HLL6300DW, HLL5700DW MFCL5800DW, MFC5850DW, MFCL5900DW, MFCL6700DW, MFCL6800DW, DCPL5500DN, DCPL5600DN, DCPL5650DN Approximately 30,000 pages based on 1 page per job and 50,000 pages based on 3 pages per job [letter/A4 simplex pages]. The number of pages may be affected due to a variety of factors including but not limited to media type and media size.